SmartBones Smart Naturals - Beef Recipe is a healthy and natural treat for your dogs. 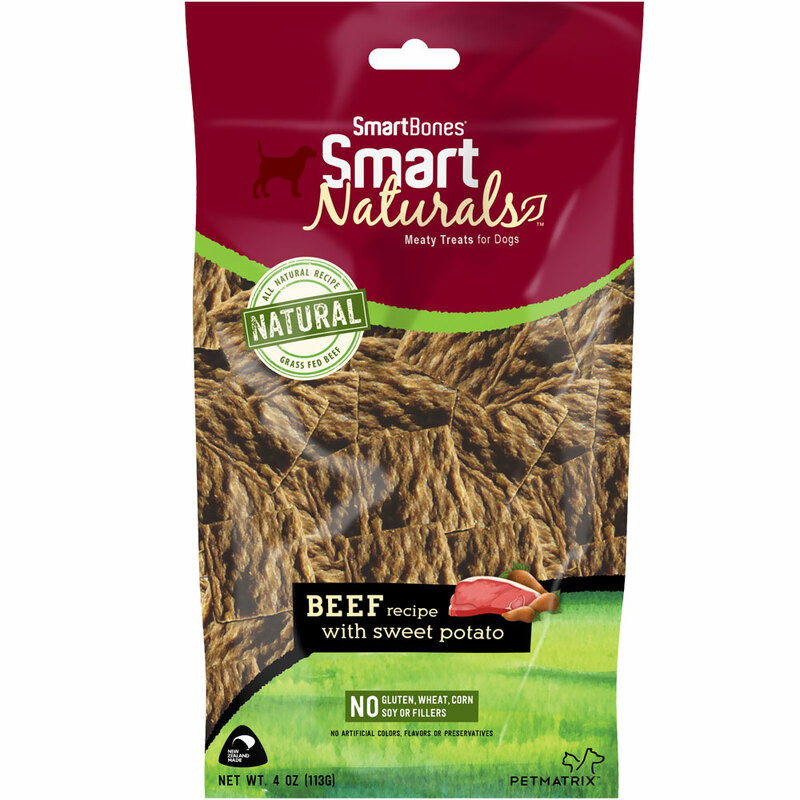 This recipe combines irresistable grass fed beef and top quality sweet potatoes for a 100% natural snack your pup can safely enjoy. The slow cooked beef makes each bite jam packed with a delicious flavor you won't find anywhere else. 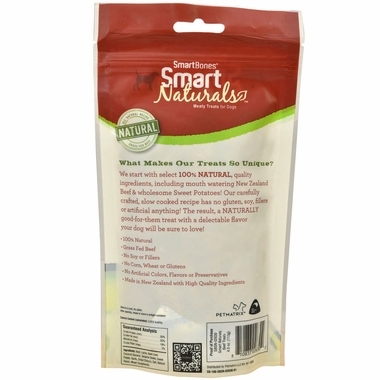 Let your dog enjoy a healthy treat they're sure to love!